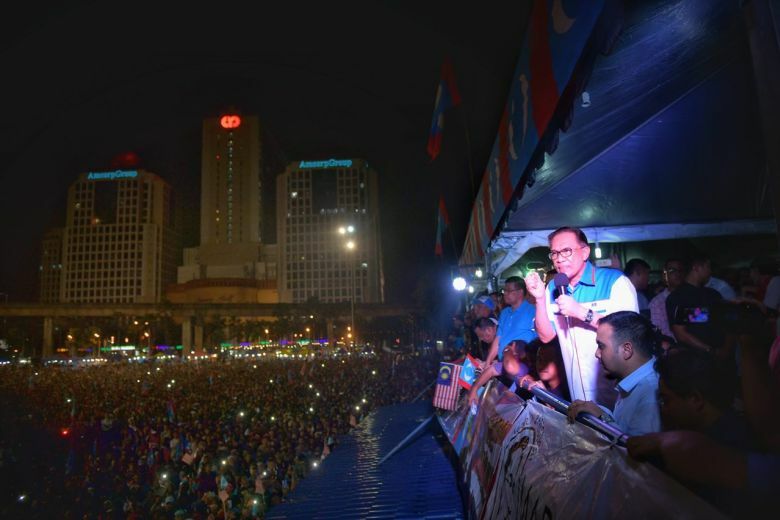 Anwar addressed a crowd of almost 10,000 people at Padang Timur yesterday, 16 May. 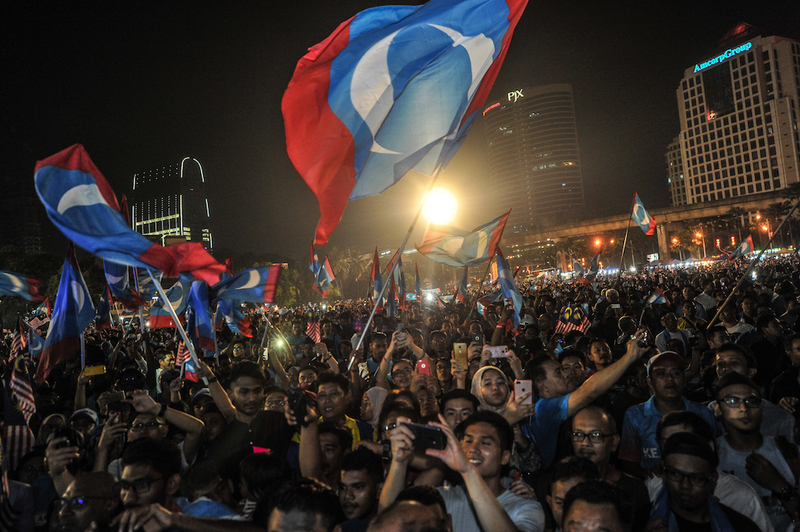 Speeches were first delivered by several Pakatan Harapan (PH) leaders, such as PKR vice-president Nurul Izzah Anwar, Parti Amanah Negara president Mohamad Sabu, Parti Pribumi Bersatu Malaysia president Tan Sri Muhyiddin Yassin, DAP secretary-general Lim Guan Eng, and deputy prime minister Datuk Seri Dr Wan Azizah Wan Ismail. 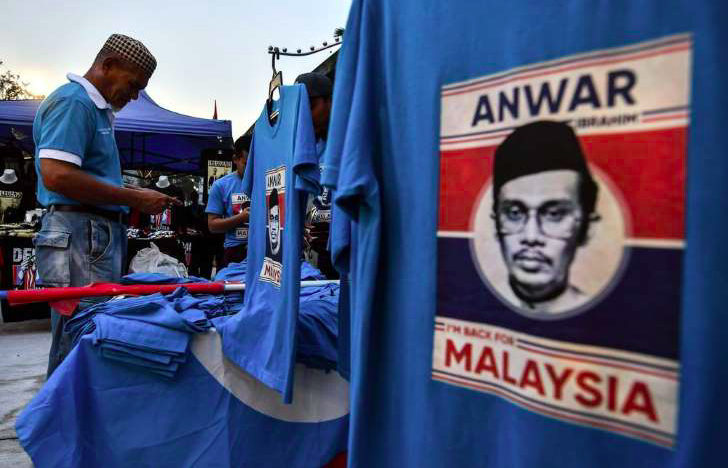 At 11pm, Anwar gave the final speech of the night in the same venue of his last political rally after what he joked was "a three-year unpaid holiday," The Straits Times reported. 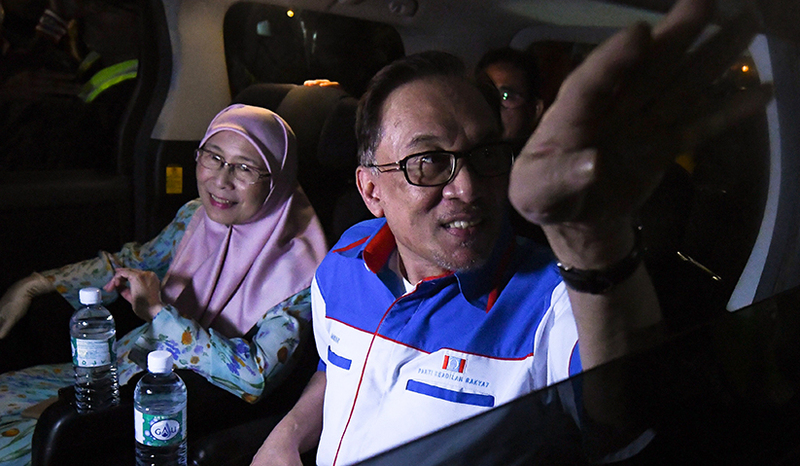 Anwar revealed that, on 10 May, the King had asked Wan Azizah if she wanted to be prime minister since her party PKR won the most seats for GE14. The now deputy prime minister refused his offer. According to The Straits Times, Wan Azizah told the Yang di-Pertuan Agong Sultan Muhammad V that the PH leaders had agreed on Tun Dr Mahathir Mohamad taking on the role of prime minister. Instead, Wan Azizah only asked for her husband to be pardoned as soon as possible, a request which the King quickly honoured. Anwar told the crowd that, "I give my support to Tun Dr Mahathir. We must give strong support to him and the Cabinet. I would not support him if I was not confident that he would bring change to the country." "Mahathir was kind to me and saw that I had no job. 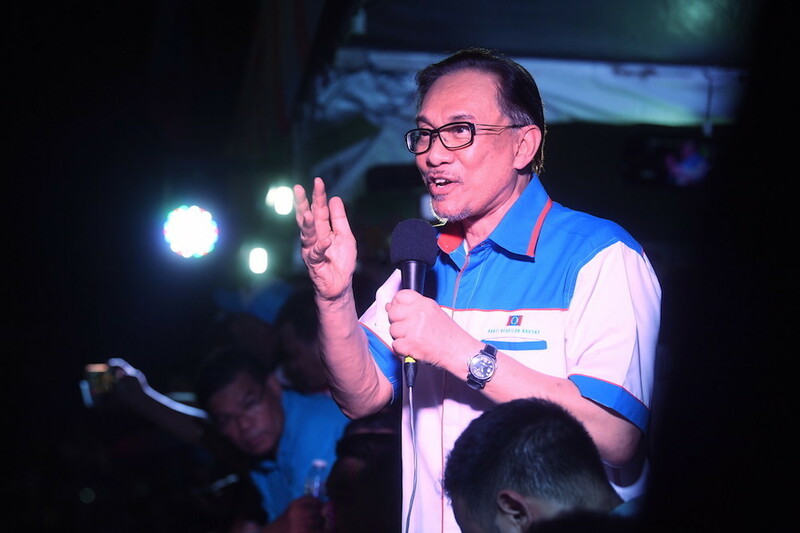 He asked me if I wanted to be in Cabinet, but I said there was no need," Anwar said, drawing laughter from the crowd, The Straits Times reported. "I will be kept informed, but I don't need to serve in the Cabinet for now," he said. Instead, Anwar revealed that he wanted to rest following his release. He plans to travel around Malaysia, including his daughter Nurul Izzah's parliamentary constituency Permatang Pauh, and Turkey, where his friend President Recep Tayyip Erdogan has invited him for a visit. On his hopes for Malaysia under a new government, Anwar said that, "We want to be better and make sure that the country's wealth is transferred to the common people"
He warned the members of Pakatan Harapan not to let power turn them arrogant, saying that, "What we don't want is an Umno 2.0. When they don't perform, we will kick them out." He added that, "Look in the mirror first. Alhamdulilah, we won and the rakyat supported us. So do your work first. Jangan sibuk nak jadi menteri (Don't be in a hurry to become a minister). Work has to go on," according to The Star. He also advised the public to "please monitor our elected representatives," as there has been "enough of corruption and intimidation. We have entered a new era for Malaysia," The Straits Times reported. Not fake news this time, folks!